"The Balinese are the happiest and kindest people I've ever met. You recognize the humanity looking in their eyes and recognize their content with life through their smiles. Even though most of them live in poverty by Western standards, there is a sense of gratitude and appreciation that exists. Community is ever-present -- taking care of others, even strangers, is considered normal for them. Devoutly religious with an interesting blend of Hindu and Buddhist traditions, they are always asking for protection, happiness, and health for others, marked by blessings conducted twice a day." The Balinese People are a melting pot of different peoples. The Chinese came from the North. Indians and Arabs came from the West and other groups came directly across the country via Java to Bali. They came in the past centuries and they are now known as the "native Balinese". They are blessed with well-developed bodies, gold bronze skin, long, glossy black hair and a charming and mystical smile. They are happy and living in a rich, dynamic culture. There are several villages, where it is difficult to accept outsiders. However, this promises that the old Balinese is reserved. This is called Bali Aga (old Bali). Here we can admire the culture of the past centuries. A Balinese cannot live in solitude. The Balinese community is very focused at the group life. The first invitation to a village meeting, is presented as a wedding gift to you. If you ignore this, you get a warning. If you have three invitations ignored, then the village will take actions against you. As the farmland is usually owned by the community, the village can deprive you to the right to cultivate the land. 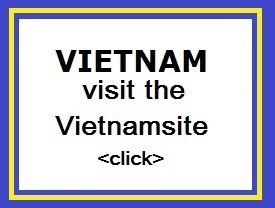 A large part of these rituals require enormous efforts. You'll have to do it, otherwise you become an "outcast". Along with the other families in the village, you will have to take part at village meetings. You can also play an instrument in the Orchestra of the village, or dance in the ceremonies. Women can make sacrifices ready for their small home altars or make ready the sacrifice for the mother temple Besakih. If there is a child in the family a tooth is pulled, the rest of the women in the village help with preparing and cooking the food. The men help with the construction of a stage and decorate the house. In short, life in Bali is never lonely. You can already see with small children. As their parents go to plant rice, the children are playing with their age group. The elderly pleople will take care of the younger ones. Fighting is rare. Screaming and yelling even less. As if they have learned to live in harmony with their environment. In Bali the first child is always called Wayan. If the second child is born, the name is always Made. The third child is called always Nyoman and the fourth Ketut. If you have more than four children? 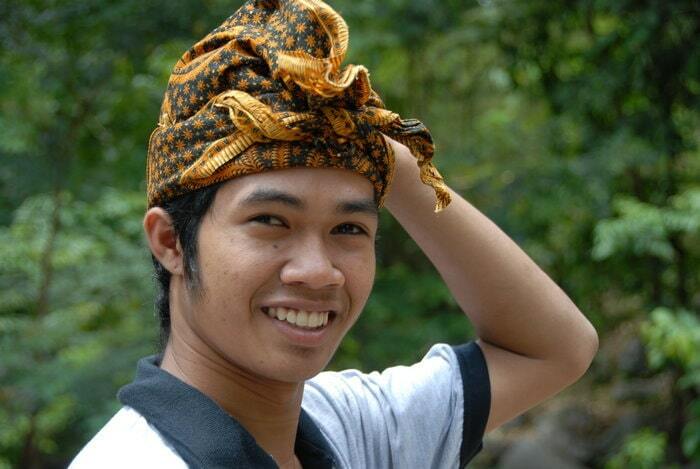 Well, then start the Balinese again with the names, so back to Wayan, Made, Nyoman, and Ketut. But the culture discourages policy to have more than four children. Although several groups of people come from India, Hinduism in Bali differs considerably from Hinduism in India. Instead of mystical or philosophical application in India, the focus of Bali's Hinduism is more on rituals, making the religion implements the life of the Balinese farmers every day. These rituals are interwoven in daily life. In fact, one can say that every little action of a Balinese, has a religious purpose. Stone and wood-carvings, cremation ceremony, dancing, lively music-all...... it's all meant to please the gods and goddesses. 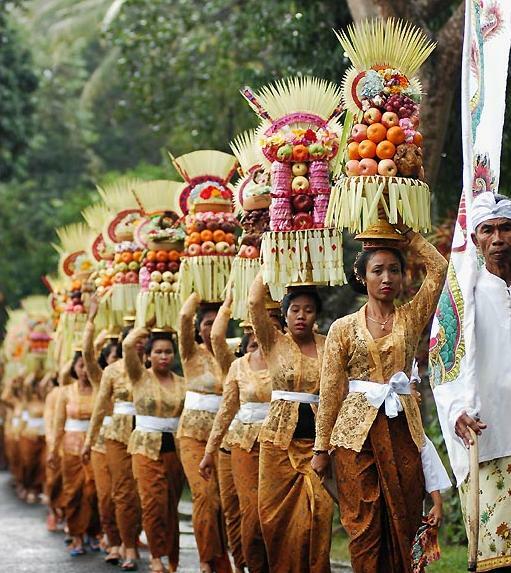 These rituals usually take place in a temple, the most important building in the Balinese culture. Another aspect of religious life in Bali is the belief that the gods and the goddesses appreciate also the worldly pleasures as much as the mere mortals. Feasts and festivals colour everyday life and please both the people and the gods. Dancing, music and performances feature among them. And because they have such a fertile country, the Balinese also use their creativity with the food, especially on party nights.